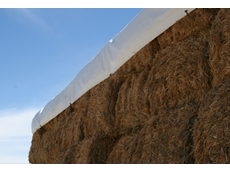 Polytex Tarps' hay equipment range offers farmers with a variety of hay protection equipment and shelter covers to meet your needs. 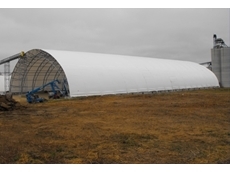 Polytex Tarps' shelters provide farmers with these shelter covers conveniently for grain storage, haystock covers or as storage sheds. 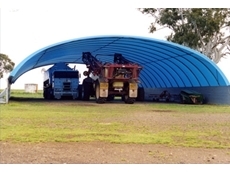 Polytex Tarps' shelter covers protect your farming equipment from rain and can be used as storage sheds for grain or hay. 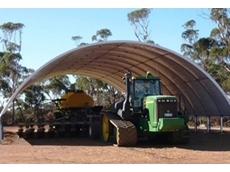 Shelter covers offered by Polyex Tarps, are suitable for farmers looking for extra storage space or even to protect farm machinery. 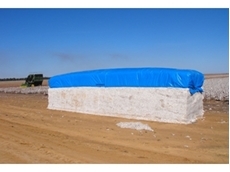 Polytex Tarps' agricultural equipment are waterproof shelters and covers for haystacks, cotton and grain storage. 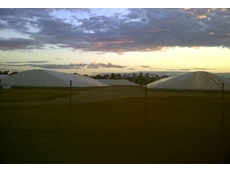 Polytex Tarps' grain storage covers, made from PVC or polyethylene, are used to cover hay, grain or cotton. 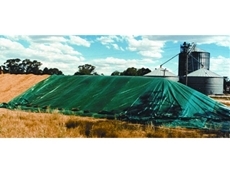 Polytex Tarps' offer a range of tarps in canvas or PVC covers for protecting your haystacks, cotton, silage and grains. 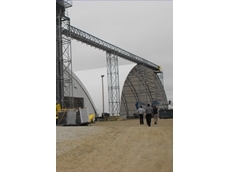 Polytex Tarps' farm equipment supplies tarps and tarpaulins for grain storage, haystacks, dam liners, truck and trailer covers. 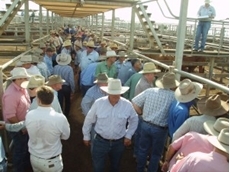 Show the difference of single or two stories or as your customers will see you! 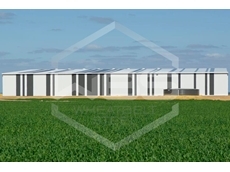 Large, mobile and strong, Jumbo Chicken Tractors offer the space to reliably house your chickens. 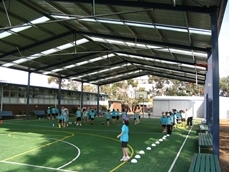 Trusteel are able to supply shelters for all size schools and sports grounds. 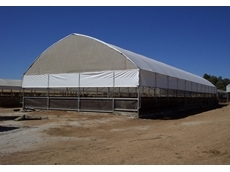 Quick Cover Canvas has been providing cover canvas and shelters since 1982. 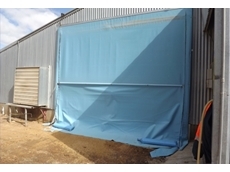 Quick Cover Canvas is a family owned company providing Australian made products including shade sails, tarpaulins, swags, instant shelters for residential, civil and rural purposes. 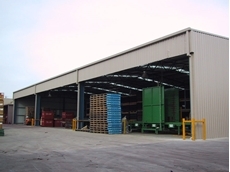 Based in Newcastle, Novobuild has been providing steel shed services since 1989. 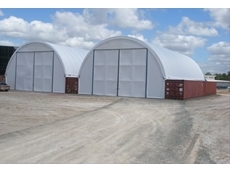 The company provides a wide range of Ranbuild products including farm sheds, shelters, barns, commercial buildings, and garages. 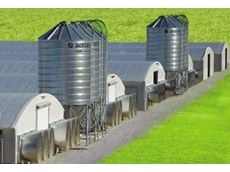 Feed Central delivers quality, cost effective feed direct from the farm to you. 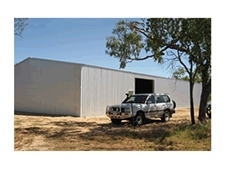 True Blue Sheds and Garages provides sheds, garages and pre-fabricated steel buildings. 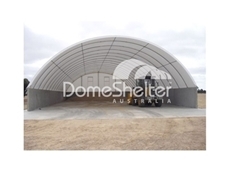 26/07/13 - DomeShelter has compiled a list of the 10 most common mistakes encountered when installing Shelters. 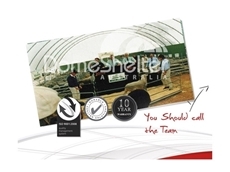 06/06/13 - The AWP Group is setting up a new company that will be dedicated to the design and production of its biggest brand, DomeShelter. 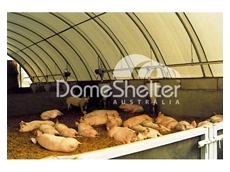 04/04/13 - The Dome Shelter concept is proving extremely popular as an economical shedding solution which provides better working conditions when installed over yards and drafting races. 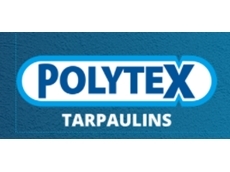 12/09/12 - Polytex, a Riverina based tarpaulin manufacturer specialises in the supply of tarps, covers, liners and shelters for agriculture, industry and mining segments Australia wide. 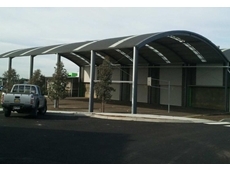 30/07/12 - Trusteel Fabrications has completed a new curved roof shelter at a school located to the north of Melbourne. 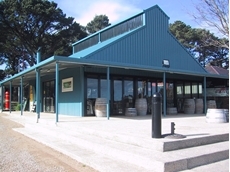 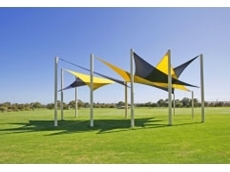 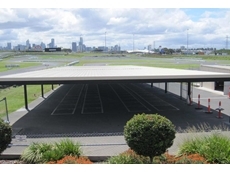 27/07/12 - Trusteel Fabrications has completed the construction of a new starting grid shelter for GO Karts in Melbourne. 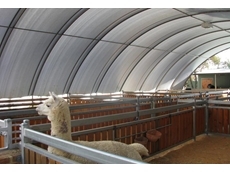 21/06/12 - AWP Group (Advanced Weather Protection) offers the AgShelter, an economical range of dome shelters designed to house alpacas and other animals. 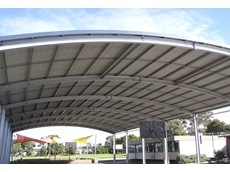 13/10/11 - AWP Group recently installed a fan style shelter at the Peter Moyes Anglican Community School in Mindarie, Perth. 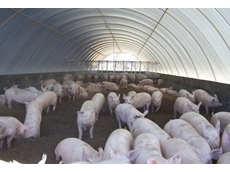 13/10/11 - Spanlift poultry sheds feature unique curved ceilings which provide excellent ventilation. 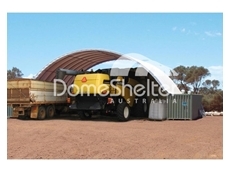 02/09/11 - The Backyarder greenhouses from Shelter Station are compact but stable hot houses. 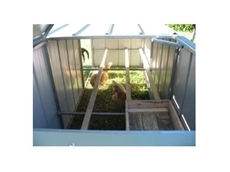 They are the great for backyards of any size.